The Heliopan 52mm RG 780 (87) Infrared Filter corresponds to a Wratten 87 filter is designed to help capture images of how a subject reflects or transmits infrared light. Conventional light sources such as the sun, photographic strobes, or incandescent lighting may be used to provide infrared illumination. However, because infrared films or digital photographic sensors can be more sensitive to the relatively higher energy and shorter-wavelength visible light those sources also emit, the effects of infrared light can be otherwise obscured. 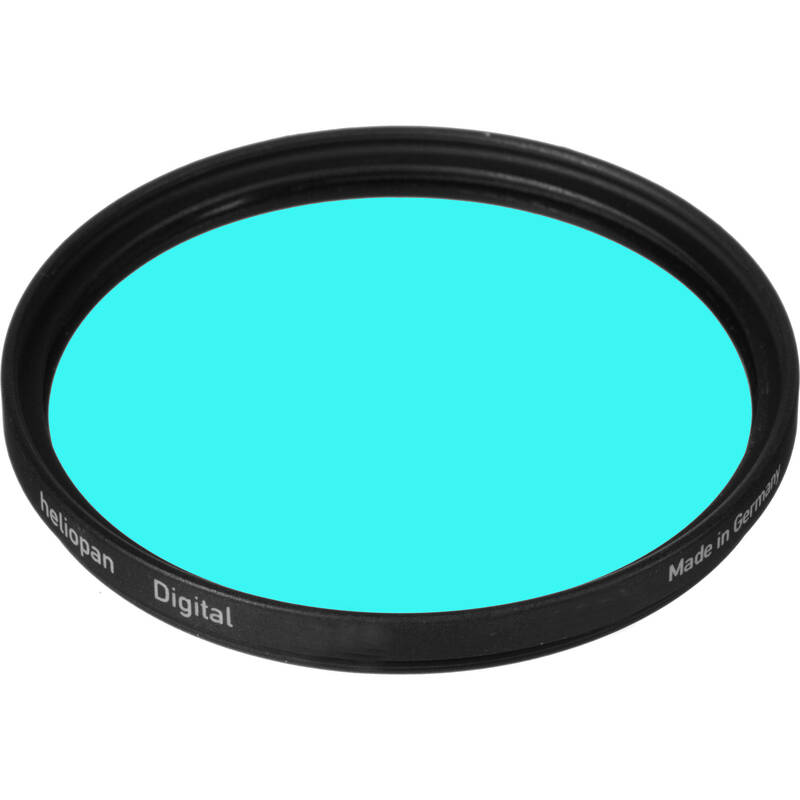 The Heliopan 52mm RG 780 (87) Infrared Filter makes it possible to capture images of how subjects are illuminated by infrared light by blocking near-infrared, visible, and ultraviolet light waves while allowing approximately 88% of infrared light waves 780nm or greater into the lens it is mounted onto. This filter is constructed from Schott glass for increased optical clarity and features a thin brass filter ring to minimize the potential for vignetting while enhancing durability and jamming prevention. Box Dimensions (LxWxH) 3.4 x 2.7 x 0.4"